As President of The Malibu Life, Inc., and Founding Partner of Partners Trust Malibu, Madison Hildebrand’s name and brand is synonymous with Malibu real estate. In addition to being included among The Hollywood Reporter’s “Top 25 Los Angeles Agents,” Madison was also recently recognized as one of Variety’s Showbiz Real Estate Elite, distinctions that further reiterate his stellar reputation and leadership abilities. A pillar within the community—both through his media prowess and his public service that extends beyond the cliffs of Malibu—Madison leverages his network to promote his esteemed clients and their listings, his own company, and the various causes that he holds dear. As an original cast member of Bravo TV’s hit reality show “Million Dollar Listing Los Angeles,” now filming in its tenth season, and a regular contributing host to E! News, Madison’s achievements and experience continue to garner international praise and attention. An acclaimed public speaker, author of the book Activate Your Passion, Create Your Career, and the name behind multiple real estate lifestyle brands, Madison is as gregarious in person as he is on camera or up on stage. His latest venture, a property development company called Malibu Modern by Madison, brings modern design to West Hollywood bungalows. His infectious “Spread the Love” and “You can mix business with pleasure” philosophies carry into his personal and professional life, including the various philanthropic organizations (Give Back Homes, Boys and Girls Club of Malibu) and partnerships (DocuSign, Inc., Go Smile toothbrush) that he is grateful to be a part of. 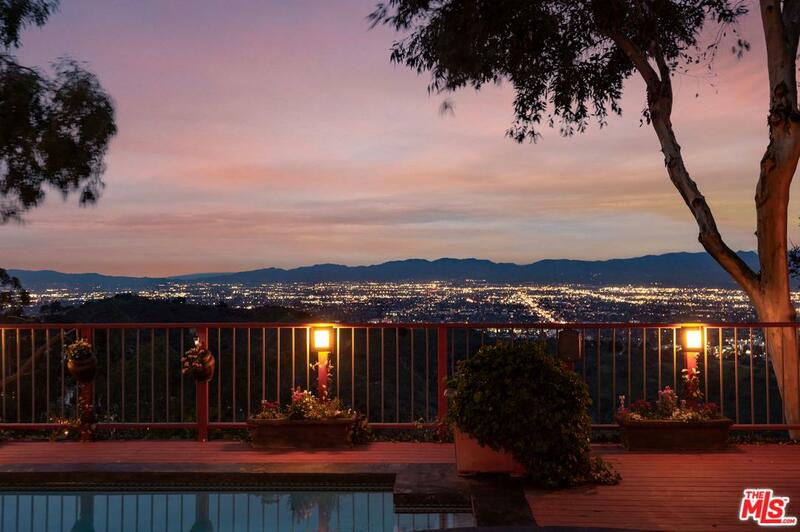 Spectacular views from this 4+ acre property perched on the ridge between PCH and the Valley. Two APNs - 4438-034-037 and 031 being sold together. A paved private road leads you almost to the site. This lot has development challenges - not for the faint of heart. Property has been owned by the same family for over 40 years. Reports and information is limited. 2014 CONSTRUCTION, CUSTOM BUILT HOME! This Santa Barbara Spanish Colonial Revival is located in the serene hills of Malibu on 2 acres, perched on its own promontory w/ views from almost every window. Attention to both detail & architecture, this beautiful home is the California dream. The main living level, upon entry, is breathtaking as the great room stretches 60' x 20' lined by large viewing windows, wood beams throughout as well as 7", distressed hickory hardwood floors. The custom chef's kitchen is complete w/ a walk-in pantry, breakfast bar & separate eating area. Also on this floor is a dedicated office, powder bath & spacious bedroom. Upstairs includes a guest suite w/ exceptional views, & an over-sized master suite w/ fireplace, private viewing deck for those incredible sunsets, soaking tub, separate shower & walk-in closet. In addition to the 3-car garage are 2 bonus areas: a large storage room & space for a large gym and/or media room. Escape to this private, quiet retreat. A beautiful remodel was just completed on this estate in the desirable Malibu Park area. Situated towards the end of a cul-de-sac, the home sits on over 2 1/2 acres of sprawling lush grounds w/ room for horses - close proximity to schools, the beach and shopping. Enter the property through grand gates opening to a circular driveway w/ center courtyard. The almost 5,000 S.F. 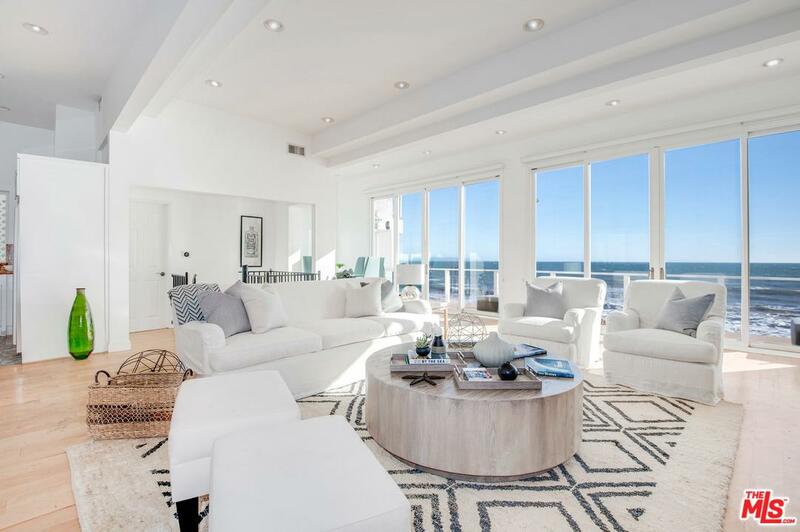 two-story home is designed to highlight the stunning ocean views and indoor/outdoor lifestyle Malibu is known for - with large glass doors leading from the sunken great room/living room out to the sprawling lawn and outdoor cabana area. Fruit trees, gardens, patios, a basketball area and second driveway complete the grounds. A casual family room, gourmet kitchen, and living room w/ fireplace are on the main level along w/ 3 bedrooms. The entire upstairs is a master w/ sitting room/office, sumptuous bathroom and large balcony. 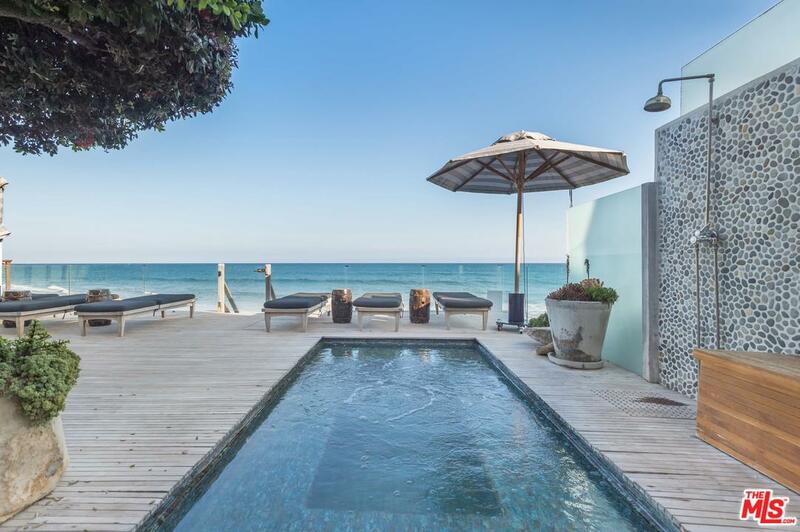 A private detached guest house also w/ ocean views and privacy complete the compound. I never did complete a deal with Jennifer. But aside from being a saint (she put up with my unrealistic demands far too long; I was looking for land and was combing through problematic bargain properties), she knows every nook and cranny of Malibu and Agoura (and probably Calabasas and Westlake and Thousand Oaks). She is smart and has great poise. She is a very good intermediary, whether on the buyer or seller side. She is also very well connected and can refer to reliable consultants, albeit one still does need to exercise caution given the cost of some of these individuals. I recommend Jennifer without any reservation. I know any time I consider a purchase, she's the first person I consult. I will not buy a property in the area without her as my realtor. Jennifer is simply the best broker in Los Angeles county bar NONE! I have used Jennifer's services for more than 10 years in every real estate transaction I have ever done, whether as buyer or seller, land or home deal and she has been a revelation. Even people who I bought from and sold to have gone on to ask Jennifer to represent them. Her experience, knowledge of both land and home deals, hard work, enthusiasm, honesty and flair have made her an irreplaceable asset. The one time I was dumb enough to think I could do without her help, well, six months later I was begging her to come back and she completed that deal in just three months at the height of the pullback. I'm not in the praise game normally, but on this one occasion I can offer my very highest recommendation to a superb professional. Madison has helped us sell or purchase several homes which worked extremely well for us. We found him to be very professional, honest and worked hard for all parties. I had a great experience working with The Malibu Life Team. Due to their great marketing plan my home sold in 4 months. I would highly recommend Madison Hildebrand and his team to anyone looking to buy or sell real estate in Malibu. I found Madison to be more than just a agent! His Integrity goes much pass a professional and Honest man in any Business! Would recommend him to any one who is looking to sale a property fast in this market!! Once you get to know him and his skills that stand out from any other agent! You found an agent for life!! Working with Madison was a joy. His Malibu knowledge was extensive and his negotiating skills were quite impressive. Our escrow was a bit complicated, but in the end, Madison was able to close the deal painlessly. 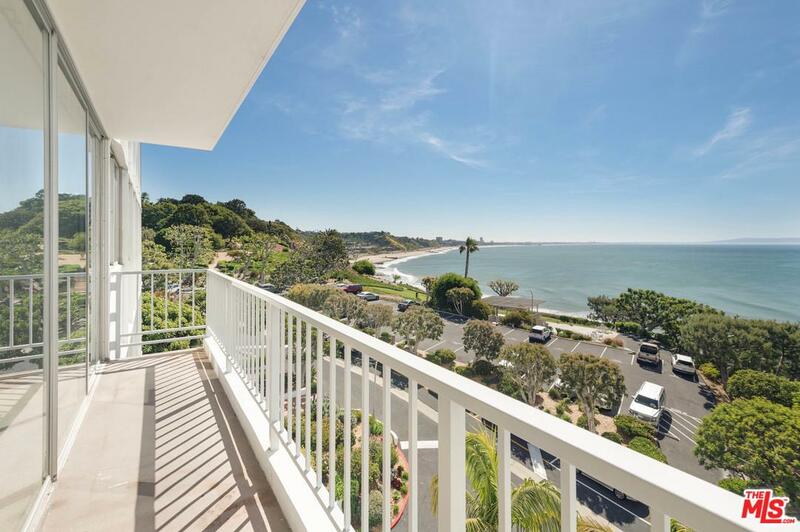 Additionally, the professionals who work with Madison at The Malibu Life Team were always able to answer our many questions, which made it easier for us during the transition period of selling our home. Madison is truly the \"MagicMan\" of real estate. His charisma and unique ability to harmoniously bring buyers and sellers together time and time again (we speak from experience) is nothing short of astonishing. I just received confirmation that the escrow on the sale of my Parent’s Malibu Home has closed and I wanted to let you know how much myself and Miriam and our family appreciate and thank you for your efforts, professionalism, advice and strategic guidance. Even though I have spent the better part of my business life in commercial real estate, residential real estate is different. I have come to appreciate and depend upon your counsel. The successful sale of our home is due in large part to your judgment and superb negotiation skills. As you know, we interviewed a number of Malibu Real Estate Teams before deciding to have your Partner’s Trust Team undertake the marketing of our family home. You have delivered on your assurances regarding the marketing program. It has been just 9 months since we listed with you. From the outset you demonstrated an imaginative approach to the marketing of our Fickett Home [WSJ Home of the Week, a great print advertising campaign that assured us a steady and constant stream of shows, and your amazing network of people]. Most importantly, your guidance on pricing, negotiation and structuring of our counter offers was right on. Your judgement and recommendation to reset our listing price was spot on. And, since getting into escrow, Jennifer has been awesome in coordinating and facilitating the closing. I sincerely respect and deeply appreciate your efforts. Miriam and I have enjoyed working with you both.